Analysis - Could UK energy warning derail Scottish plans? UK: Scotland has been warned that plans for independence could damage its renewable energy market, with the rest of the UK potentially sourcing its electricity elsewhere. Speaking at trade body Scottish Renewables' annual conference, UK energy and climate change secretary Ed Davey said that the country's priority would be to source its renewable energy from the cheapest source, and this could be Norway or Ireland, with whom the UK is exploring the potential for interconnectors. "I am absolutely not saying that Scotland wouldn't be able to compete, but it will be much harder to keep prices competitive," said Davey. Scotland is holding a referendum on independence in autumn 2014. If the public votes in favour, incentives for renewable energy will no longer be split across the whole of the UK, but will instead be spread across the much smaller base of Scottish electricity users. Energy company SSE warned both the Scottish and UK governments that the uncertainty might damage its future investments. "[The referendum] increases the risk of regulatory and legislative change with regard to the electricity and gas industry in Scotland because it means there is additional uncertainty about the future," said an SSE statement. Scotland was voted the most attractive UK region for investment by 84% of renewable energy sector players in a survey published by law firm Pinsent Masons earlier this year. However, around 70% of respondents expressed caution over its prospects for investment should there be a change in constitution. 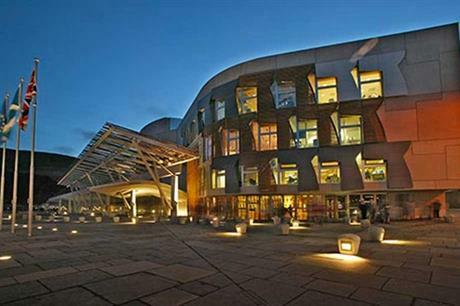 Pinsent Masons partner Euan McVicar said: "What the survey results suggest is not an opposition to Scottish independence, rather an illustration of the need for detail on what it would mean." Stan Blackley, deputy director of communities at pro-independence campaign Yes Scotland argued that independence would allow Scotland to make "transformational change" to renewables, for example, by improving the chances of gaining permits and providing more consistent policy support.